There is a certain allure about the vibrant suburb of De Waterkant that is irresistible amongst Capetonians and tourists alike. It is colourful and quaint; and boasts a pulsating heartbeat that lends the entire area a uniquely urban, modern characteristic. 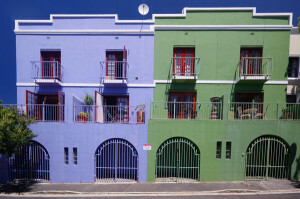 The narrow cobbled streets are flanked by colourful homes that date back to the mid-18th century, and the people that live here are a fabulously varied selection of the Rainbow Nation that is South Africa.